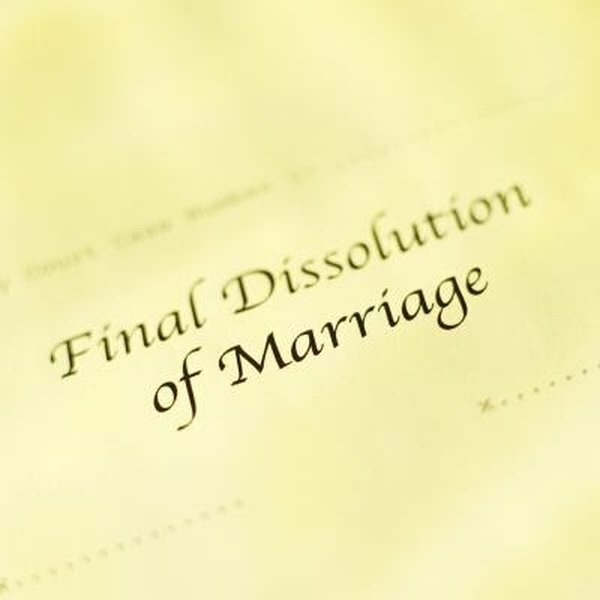 A divorce decree may include a split of federal retirement benefits. If you divorce while working for the United States government, your former spouse may be entitled to a portion of your retirement benefits. The Office of Personnel Management handles the administration of federal retirement benefits. Once you and your former spouse have agreed to a split of your retirement assets in court, the OPM's court order unit will review your case and calculate the amount due to each of you. Federal law protects employee retirement accounts from creditors. You must obtain a court order to divide your retirement account between you and your former spouse. The court must list the percentage split between the spouses in the order. Your ex-spouse may also be entitled to a portion of any cost of living allowances allocated to your account or refunds of your annuity contributions. Your former spouse's retirement payouts do not start until you are eligible to begin receiving your benefits. If you choose to remain working past retirement age, your spouse will become eligible for payouts on the day you reached retirement age. The minimum retirement age is set by the Federal Employees Retirement System or the Civil Service Retirement System, whichever system holds your retirement funds. During your lifetime, you may make the election to provide a survivor annuity or a lump sum payment for your surviving spouse. If no election has been made at the time of your death, the court may decide to purchase an annuity to handle the surviving spouse's benefits. If your former spouse remarries before age 55, she will not receive a survivor annuity, even if it was granted by a prior court order. The benefits given to your former spouse under a survivor annuity will be lower than the previous benefit paid out before death. Your ex-spouse is also entitled to a portion of any Federal Thrift Savings Plan accounts in your name. She may also be able to remain enrolled in the Federal Employee Health Benefits Program. If you have life insurance through the Federal Employee Group Life Insurance plan, the court may require you to assign your insurance benefits to your former spouse. You will also be prohibited from changing the beneficiary on the policy. These plans are administered by the federal department for which you work, not the OPM. You must get a separate court order for each department that holds one of your accounts. How Do Retirement Plans for Teachers in Pennsylvania Work? How Is a 403(b) Plan Divided During a Divorce?